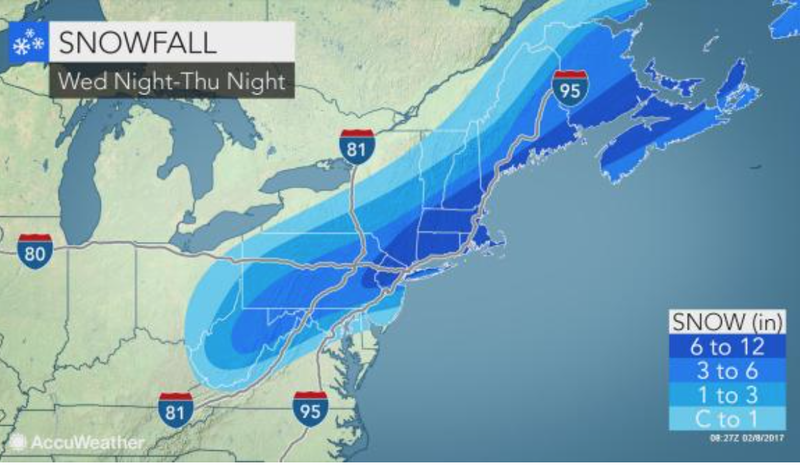 Please take this storm seriously, especially if you were planning to travel to the region tomorrow. 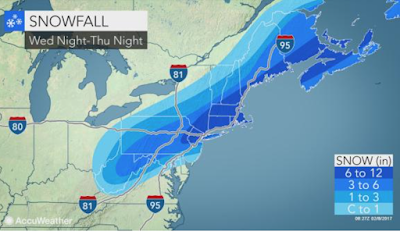 Here is AccuWeather's latest snowfall forecast for the Northeast. 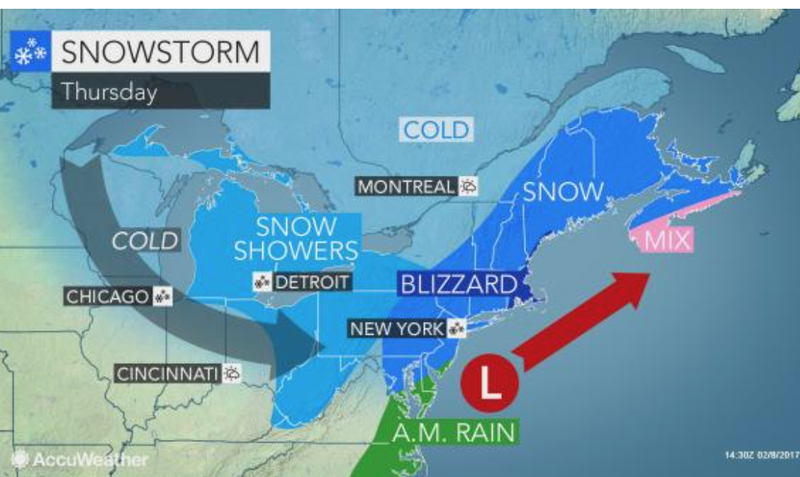 High winds will accompany the storm creating blizzard conditions. AccuWeather has full details on the storm here. The airlines have issued "waivers" for passengers who had plans to fly into the region tomorrow. Please go to your specific airlines' web site.